These carved shells are on display in a covered glass case in the Oceanographic Museum. They were carved in 17th century Italy. 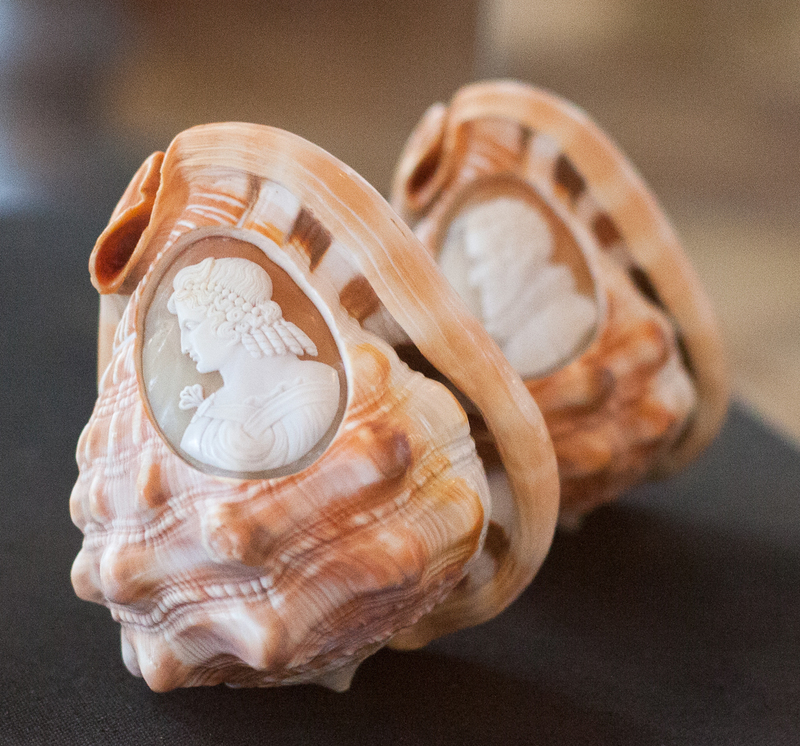 The cameos were carved onto Emperor Helmet shells (Cassis madagascariensis), considered the most highly prized shell for carving. The soft colors and the detail of the carvings are great.